Violinist Monica Curro is currently in her 20th year as Assistant Principal 2nd Violin of the Melbourne Symphony Orchestra, and was a core member of the Australian Chamber Orchestra for 5 years before that. She graduated with a Bachelor of Music Degree from the Queensland Conservatorium of Music in 1987 and completed a Masters Degree at Michigan State University in 1991, studying with Walter Verdehr. She has played with Sydney Symphony Orchestra, Queensland Symphony Orchestra, as Principal 2nd Violin with the Tasmanian Symphony Orchestra, and as Guest Concertmaster of the West Australian Symphony Orchestra and The Auckland Chamber Orchestra. Curro is a member of the Board of Directors of the Australian Youth Orchestra, and regularly tutors for their orchestral and chamber music programs. She has taught violin at The University of Melbourne and the Victorian College of the Arts, and has coached chamber music and taught violin and viola at the Australian National Academy of Music and its Young Academy. In 2009, Curro was honoured to be invited as the only Australian to play in the World Orchestra for Peace conducted by Valery Gergiev for concerts in Poland and Sweden. She joined them in 2010 for concerts in London and Salzburg, in Abu Dhabi for 2011, in New York and Chicago for 2012, and in London for 2014. Curro is also a member of the Australian World Orchestra, who in 2015 performed with Sir Simon Rattle in Sydney and Melbourne, and with Zubin Mehta on tour in India. Curro recently gave the world premiere, as co-soloist with her sister Sarah, of Stefan Cassomenos' Double Violin Concerto for acoustic, semi-acoustic and electric violins. In October 2013, she appeared as a soloist with the Melbourne Symphony Orchestra, and appears regularly as part of MSO's Chamber Series. In 2016, Curro was the Director of the Smalley Chamber Orchestra at AYO’s National Music Camp. Also in that year, she was the artistic director of MSO’s outreach program in Yogyakarta, Indonesia. Curro is sought after as a public speaker, giving regular pre-concert talks and conversations for Melbourne Recital Centre, Musica Viva and Melbourne Symphony Orchestra. She has also been asked to give talks about pathways to success for various tertiary institutions and educational organisations, including Deakin University, Monash University, and Australian Youth Orchestra. Curro is a founding member of acclaimed ensemble PLEXUS. Since launching in 2014, the ensemble has commissioned and premiered over 100 new works. Curro and pianist Stefan Cassomenos have recently been announced as Artistic Directors of the Port Fairy Spring Music Festival from 2019. Philip has been the Associate Principal Clarinet of Melbourne Symphony Orchestra since 2009, and was principal with the Malaysian Philharmonic for 11 years before that. After completing his Bachelor of Music at the Sydney Conservatorium under Peter Jenkin, he went on to win the ABC Young Performers Award in 1997 playing the Françaix Concerto with the Sydney Symphony Orchestra, and was the 2MBS radio performer of the year in 1996. Philip has appeared both as soloist and guest principal with all the major Australian symphony orchestras, and was a frequent soloist with the Malaysian Philharmonic during his tenure there in repertoire ranging from Mozart to Henze, Copland, Weber, Strauss, Bruch, Stamitz, Bernstein and Stravinsky amongst others. His playing has been reviewed as “mellifluous, engaging and assured”. Philip's first love however is chamber music, and he has collaborated with some of the world’s finest musicians and ensembles in that realm. These include the Australian Chamber Orchestra, Melbourne Chamber Orchestra, Goldner Quartet, Eggner Trio, Auer Quartet, Wilma and Friends, and Australia Ensemble, as well as many contemporary ensembles including Arcko, Alpha Ensemble, and Australysis. He is a founding member of the aptly named Melbourne Ensemble which has appeared at the Melbourne Recital Centre and at Woodend Winter Arts Festival. Since 2012 he has appeared regularly with and toured South America and Europe with the sensational Camerata Bern of Switzerland under the leadership of Antje Weithaas. Philip is particularly proud to be a founding member of PLEXUS, a trio with violinist Monica Curro and pianist Stefan Cassomenos, which has commissioned and given world premieres across Australia of over 100 new works largely by Australian composers. 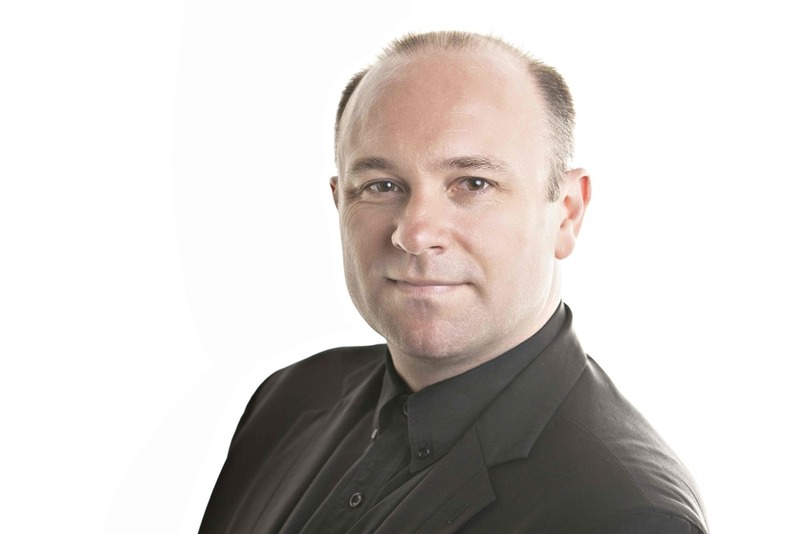 Philip has given masterclasses across Asia under the MPO umbrella and in South America for Camerata Bern, and teaches clarinet through Melbourne University. He has tutored at Australian Youth Orchestra’s National Music Camp, the Malaysian Philharmonic Youth Orchestra and Melbourne Youth Orchestra, and has conducted various small ensembles at the Dewan Filharmonik Petronas in Kuala Lumpur and across Malaysia. Melbourne pianist and composer Stefan Cassomenos is one of Australia’s most vibrant and versatile musicians. He has been performing internationally since the age of 10, and is now established as one of Australia’s leading pianists. His concerto repertoire now exceeds thirty works, and has led to engagements with the Beethoven Orchestra Bonn, Malta Philharmonic Orchestra, Queensland Symphony Orchestra, Adelaide Symphony Orchestra, Melbourne Symphony Orchestra, Orchestra Victoria, and Melbourne Chamber Orchestra. In 2013, Cassomenos was a grand finalist and recipient of both the Second Grand Prize and the Chamber Music Prize in the prestigious International Telekom Beethoven Piano Competition Bonn (Germany). He has been a grand finalist and prize winner in various other competitions. Cassomenos has given solo recitals at many international venues and festivals, including Tonhalle Zurich, Gewandhaus Leipzig, Beethoven Festival Bonn, Shanghai Oriental Arts Centre, Bunkamura Orchard Hall Tokyo, and Junge Stars der Klassik Kirchheimbolanden. Cassomenos now performs regularly in Australia, Germany and the UK. Cassomenos is a founding member of acclaimed ensemble PLEXUS, with violinist Monica Curro and clarinetist Philip Arkinstall. Since launching in 2014, the ensemble has commissioned and premiered over 100 new works. Cassomenos is active as an artistic director of various festivals, projects and collaborations. Cassomenos and violinist Monica Curro have recently been announced as Artistic Directors of the Port Fairy Spring Music Festival from 2019. Cassomenos began composing at age seven, and as a teenager had his music performed by the Melbourne Symphony Orchestra (1999) and the Adelaide Symphony Orchestra (2001), with whom he performed his Piano Concerto No 1 at the age of 16. Awards and accolades for composition include Composer in Residence for three years at the Creative Innovation Conference 2010–12, the 2012 Lyrebird Music Society commission, the 2012 Young Achievement Award from the Hellenic Australian Chamber of Commerce and Industry, and various awards through the Yamaha Music Foundation. His Piano Concerto No 3 was premiered in 2010 at the Melbourne Recital Centre. His critically acclaimed Double Violin Concerto (2012) has been performed around Australia by three different ensembles, with violin soloists Monica Curro and Sarah Curro. In 2014, Cassomenos was invited as the first Australian composer to be commissioned as part of “250 Piano Pieces for Beethoven”, an international composition project initiated by German pianist Susanne Kessel marking Beethoven’s 250th anniversary in 2020. In 2015, his Requiem for the End of Time was premiered at Federation Square in Melbourne by the Royal Melbourne Philharmonic Choir and PLEXUS. His Concerto for Two Pianos & Orchestra (2018) recently received its world premiere in Thessaloniki, Greece. His new chamber opera Herodias was commissioned by Victorian Opera , and will be premiered as part of their 2019 season. Born in 1985 in Melbourne, Stefan studied with Margarita Krupina, Stephen McIntyre, Ian Munro and Michael Kieran Harvey.